The following interview with Tracy Jeanne Rosenthal of the Los Angeles Tenants Union was conducted by Jessica Lopez and Cesar Montero and originally published in the anti-capitalist and pro-working class paper Salvo. 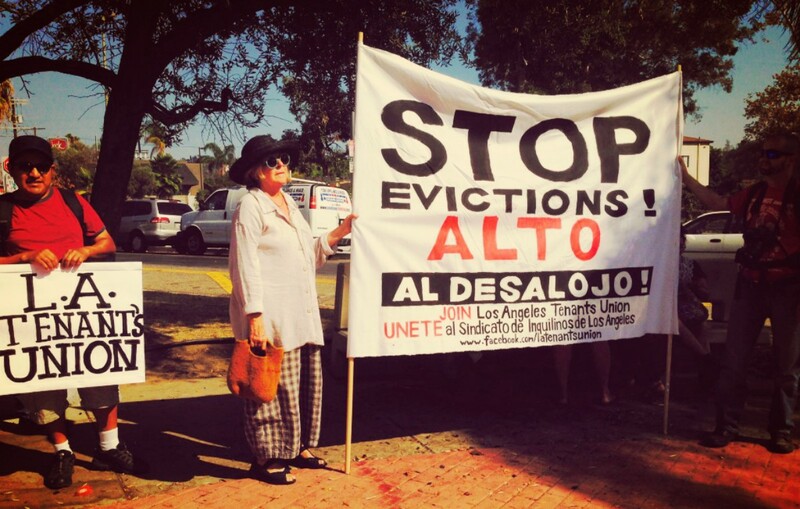 The city of Los Angeles has experienced an increasing number of evictions that are linked to the gentrification process enabled by the state and landlords. Eric Garcetti, mayor of Los Angeles, has spearheaded and favored the development of luxury homes. This has encouraged landlords to enter their land into the market of trendy housing, evicting and displacing previous tenants in favor of tenants who are able and willing to pay more in rent. Black and Brown communities are coming under attack with these practices of displacement which favor whiter and wealthier people and make clear that these are current day manifestations of colonialism. As anti-capitalists, it is crucial that we support tenant struggles against landlordism, a system in which privatized land is rented to a tenant. The relationship between a tenant and a landlord is one that is founded on the exploitation of the tenant and this is why it is important for tenants to be at the forefront of building popular power in their buildings and neighborhoods. The following interview is with Tracy Jeanne Rosenthal, a member of the Los Angeles Tenants Union / Sindicato de Inquilinos de Los Angeles. The union has been involved in a myriad of struggles across LA, most notably the year long struggle against rent hikes in Boyle Heights’ Mariachi Apartments in which tenants were able to negotiate a reasonable rent increase for their units as well as the ability to stay in their homes and neighborhood through the use of a rent strike. LATU / SILA is a prime example of power from below. Salvo: Could you share some history about the LATU? How did the union come to be? Tracy Jeanne Rosenthal: The LA Tenants Union began in 2015 as a response to an analysis of gentrification. Gentrification is displacement and replacement of the poor for profit. Gentrification is not a natural or inevitable process. Gentrification is human-made, and often aided in large part by government policy. A multi-generational and multi-ethnic research collective, School of Echoes, spent three years studying gentrification, through readings, meetings with groups across Los Angeles, and reflecting on our own organizing work. But we did not only want to understand gentrification, we wanted to stop it. And we recognized that only a mass movement could. 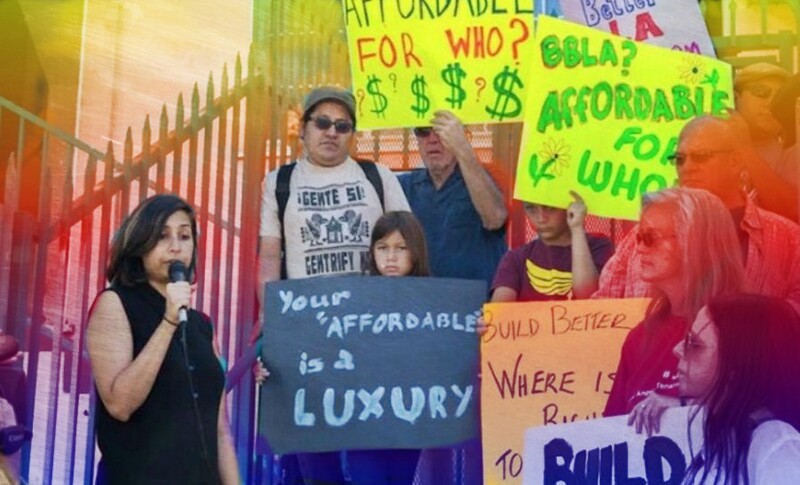 In 2015, we convened a host of organizers across the city to help found the LA Tenants Union. Since that meeting, we have grown to encompass nine local chapters from the Westside to the Eastside and Northeast to Southeast. S: How many members are currently in the LATU? How are most people funneled in? S: The LATU engages in direct action; What are some victories the LATU has seen using direct action specifically? TJR: Our Emergency Response Committee is often our first point of contact for direct action. Members of the committee are alerted to an illegal eviction, ongoing harassment, or other crisis-in-progress, and arrive on scene to mediate, document, or in some cases physically block eviction proceedings. Individual local chapters also use tactics of direct action to highlight particular building struggles and structural issues of housing. One example from the Vermont and Beverly Local is our campaign to highlight the failures of the Housing and Community Investment Department (HCID): by failing to properly inspect code violations, guarantee the rights of the rent stabilization ordinance, and manage their resources effectively, we assert that they contribute to the displacement crisis across the city. By staging protests outside of HCID offices, we have both put pressure on individual cases and also were able to present our analysis in a meeting between the heads of the department and 100 of our members and members of the community (the full analysis is publicly available online). 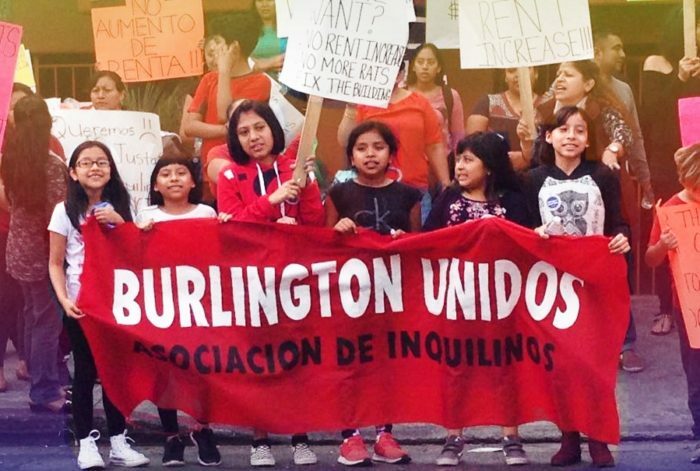 Another example is our organizing of numerous successful rent strikes, which have put pressure on landlords to lower hiked rents and fix code violations, even in cases when tenants do not have the benefit of rent control to protect them. Rent strikes are a crucial strategy that rely on the power of collective bargaining rather than state policy makers to bring about immediate change in the conditions of tenants’ lives. They are also scalable beyond one building. S: What does the current structure and decision-making process currently look like? What are some strengths and weaknesses you have seen with these structures? TJR: We make decisions by consensus. The goal of consensus is to foster group solidarity in decision making, so that decisions come with the force of everyone’s participation. In the interest of time, consensus can look like a straw-poll or a vote, when gauging the temperature of the room. When urgency is balanced with expedience, consensus can be difficult to prioritize at all times. LATU has an open membership policy: any tenant, broadly defined as a person who does not own or control their own housing, can become a member (and we accept non-voting, landlord supporters, too). This means there are significant differences among our membership, in terms of racial, class, and language differences, differences in analyses of the housing crisis (particularly, those who foreground anti-capitalist critiques and those that don’t), and differences in preferred strategy and theories of political change (“outside” direct action like boycotts, protests, and rent strikes vs. “inside” tactics of pressuring policy-makers). Some questions we are constantly facing: How do we prioritize the needs and analyses of the most effected by the crisis (poor and working class people of color)? How do we maintain an intersectional analysis that understands housing struggles as a part of those against police and ICE abuse? How can we turn our meetings into sites of education where different kinds of people can learn? What kinds of tactics will best support our strategy of scaling up the fight against gentrification and displacement? How do we grow? How do we build leadership? How do we win? The LA Tenants Union meets every first and third Monday of the month from 7pm-9pm at the United Teachers Los Angeles building located at 3303 Wilshire Blvd, Los Angeles, CA 90010. 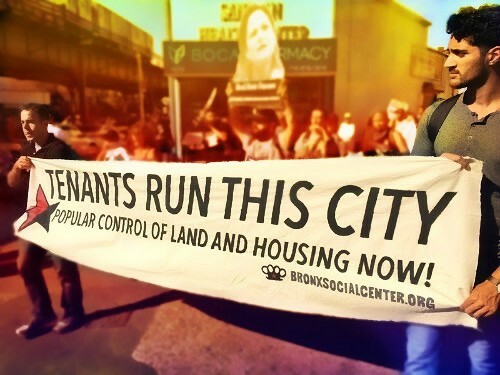 If you are a tenant and want to join the fight to build tenant power and get organized, visit their website at www.latenantsunion.org and become a member today.